"It's said that these days what is killing more marriages even more than infidelity is 'verbal disrespect.' 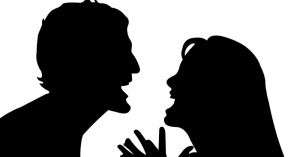 Which is the best way to handle an argument in a marriage without being disrespectful?" If you've been in a relationship for any length of time, at some point, you've probably felt "disrespected" in some way and usually verbally. It can feel like an uncomfortable twinge or it can be an overwhelming tsunami of feeling betrayed at any given time. In a nutshell, it's when your partner says something in a way that you think is "wrong" and hurts your feelings. At some point, you've decided that this isn't the way you want to be treated and you've labeled it as disrespect. It can be a tone of voice or harsh words that can escalate to name-calling, threats and worse. 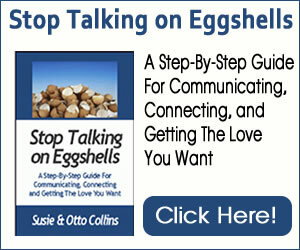 Susie remembers feeling disrespected when she experienced what she thought of as Otto's "condescending tone of voice." She thought, "How can he talk to me this way if he loves me." Otto remembers feeling disrespected when he experienced what he thought of as Susie's "controlling demands." He thought, "How can she treat me this way if she loves me." And these thoughts led to arguments in the past. 1. Verbal disrespect is subjective and a moving target. Each person makes up his or her definition and it can change from moment to moment. Sometimes we're blind to how our words and actions come off to others. We say and do things from habit (especially when we're upset) and from what we've seen modeled by our parents. We spoke with a woman recently whose husband had left their marriage and she said she had no idea how she had been treating him until he left. During their marriage, he had told her that she didn't listen to him and was very critical--but she hadn't listened. Her father had been very critical of everyone in the family and although she didn't want to be like him, as she became aware of her words and actions, she saw that she had been acting just like him. She started choosing to see how her words and actions could be construed as disrespect--and started making other choices. 2. When you label a behavior as "verbal disrespect," it clouds the real issue and escalates the argument. "Help me to understand what's going on with you right now." When he felt her opening to him, he opened to her. Also, Otto found that Susie's "controlling demands" happened when she was stressed about something or felt that a deadline was hanging over her head. When he stopped thinking he had no choice in the matter (because he always did), he could offer her his help instead of reacting with anger. When she saw him not getting caught up in anger, she settled down. You don't have to label what the other person says or does as "disrespect" and you also don't have to put up with "bad behavior." You can approach disagreements with an attitude of understanding one another instead. 3. Practice choosing words that invite rather than create distance when you express your truth. There is a difference between expressing your truth and being honest (even if you don't agree with your partner) and being verbally disrespectful. "Here's what's true for me and I want to hear what's true for you." "Please help me understand why you think...."
Be conscious of what you're saying and how you're saying it and invite yourself to stay open. The more you steer clear of having to be "right" or trying to prove your partner "wrong," the more connected you'll stay. Come back to the topic when you're both in a better feeling place. The two of us did this awhile ago when we were sleep-deprived and not in a good space. Verbal disrespect doesn't have to tear your relationship apart. You can learn from it and turn what's been a problem into bringing the two of you closer together. Remember, your thoughts create your feelings and not the other way around.